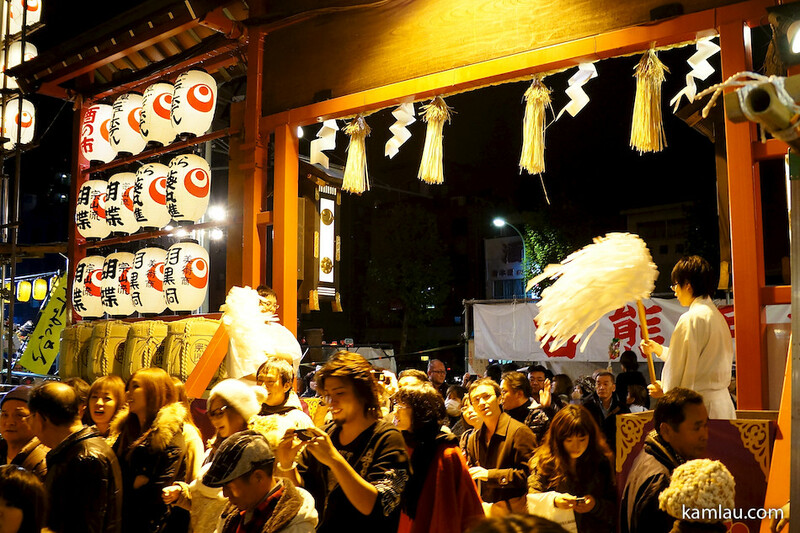 We caught the last day of Tori no Ichi at Juzaisan Chokoku-ji (Temple of Tori) in Asakusa. 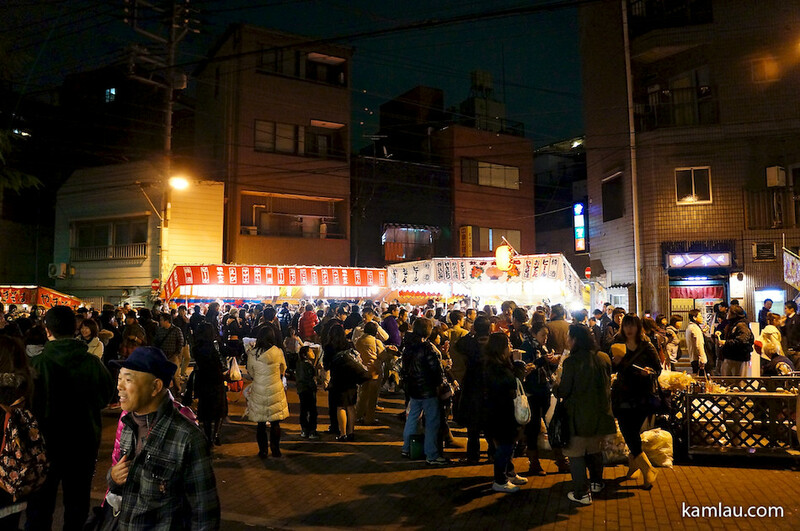 Many people came here to pray for good health, good fortune and good business. 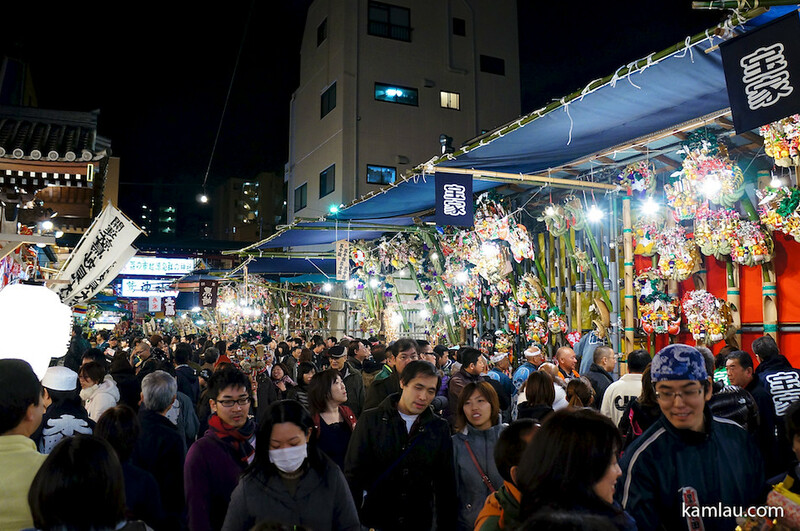 Tori no Ichi is an annual event held in November. 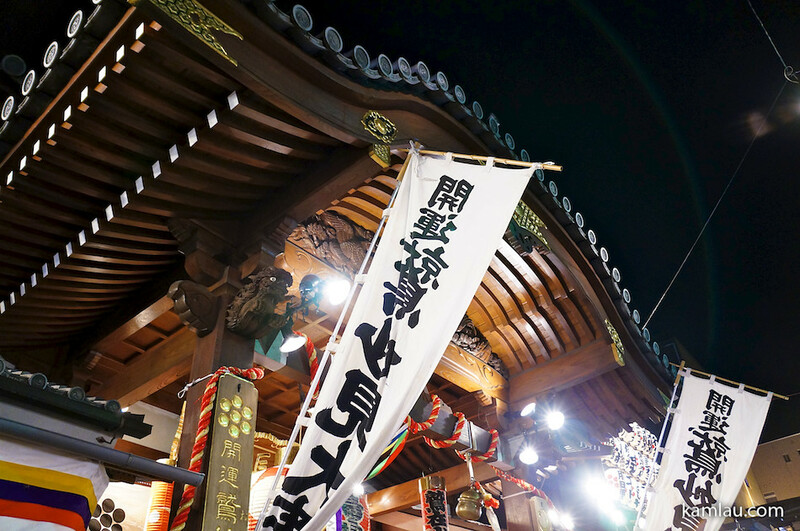 There were so many people going to the temple that it is impossible to get a clear shot without heads sticking up to the photo. 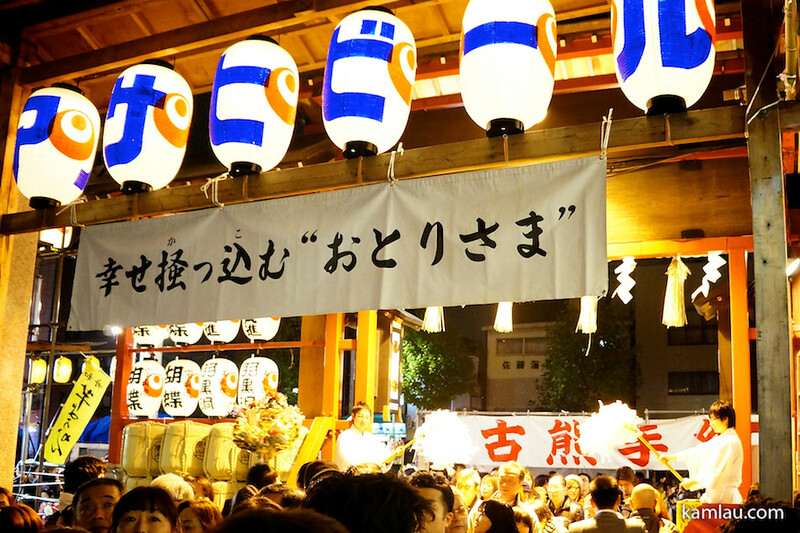 There are tones of people coming here to pray and make their wishes. 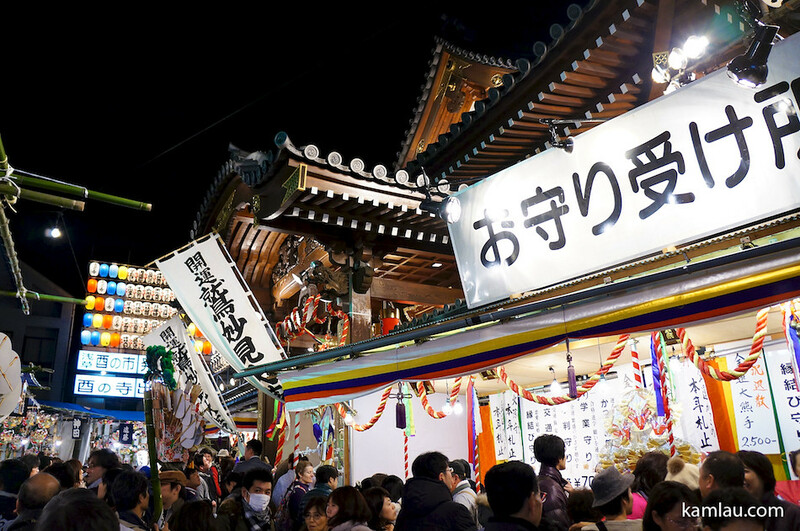 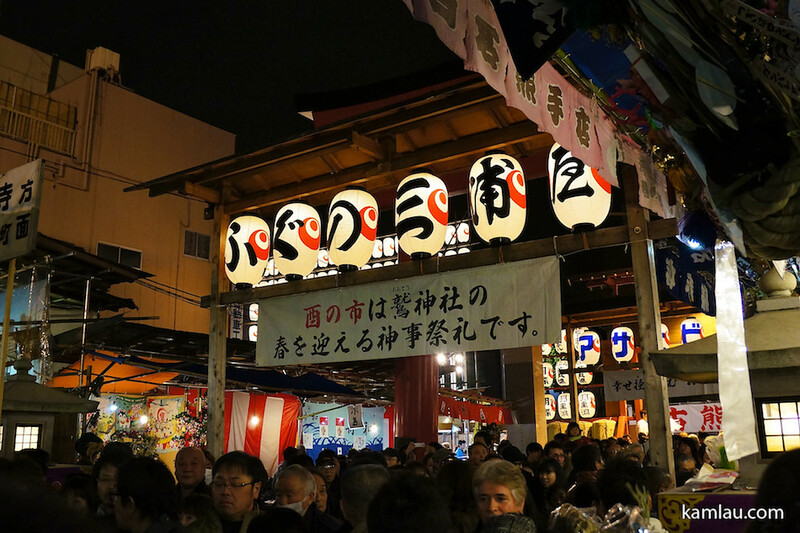 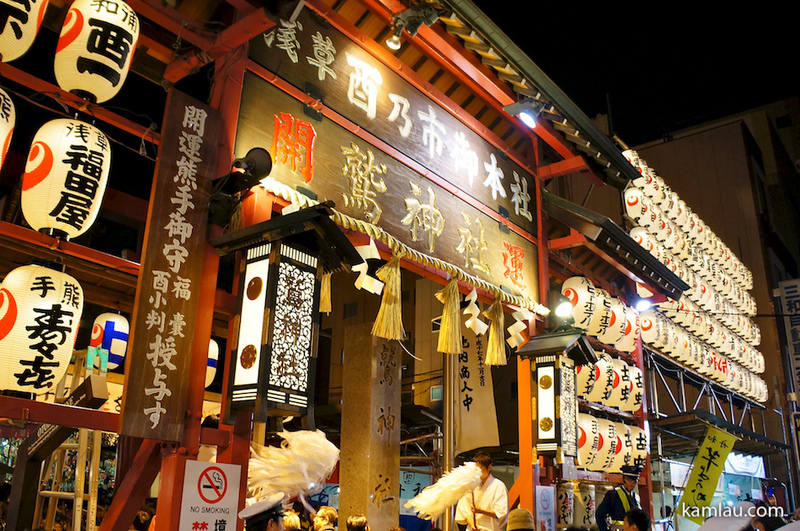 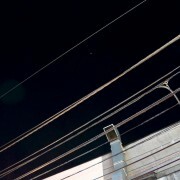 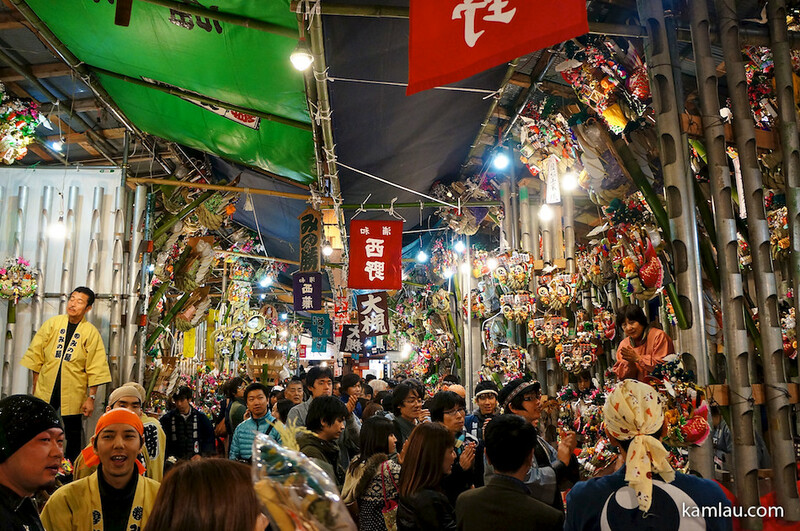 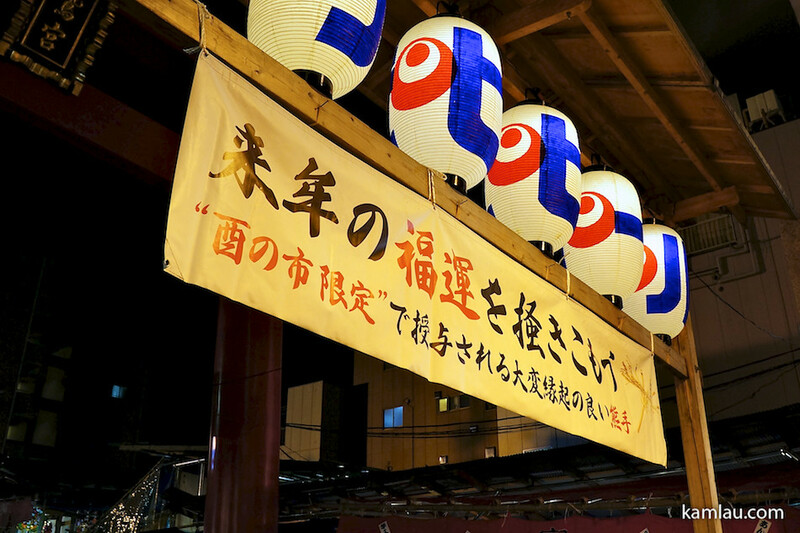 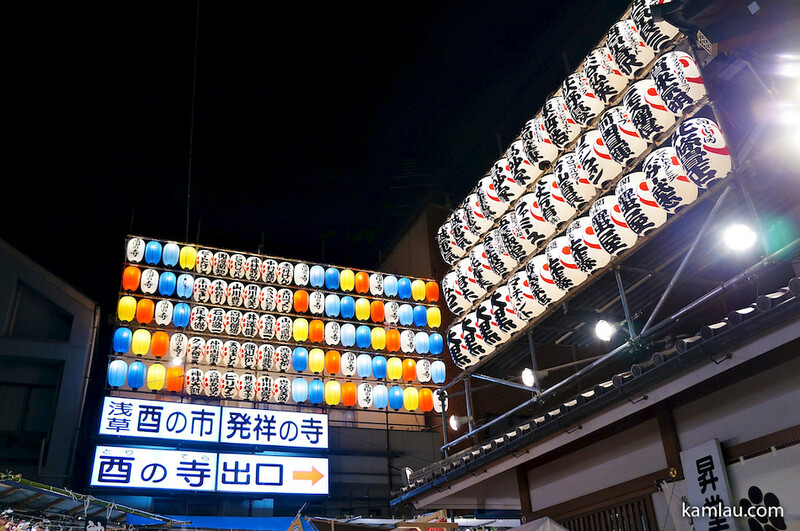 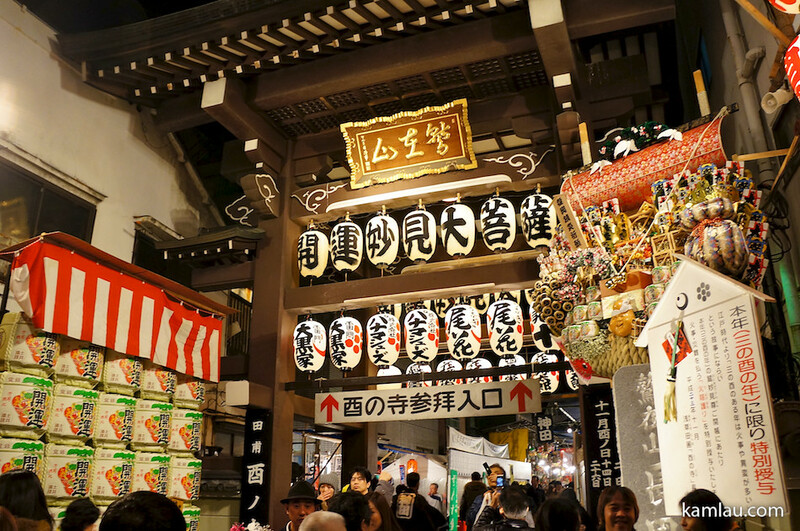 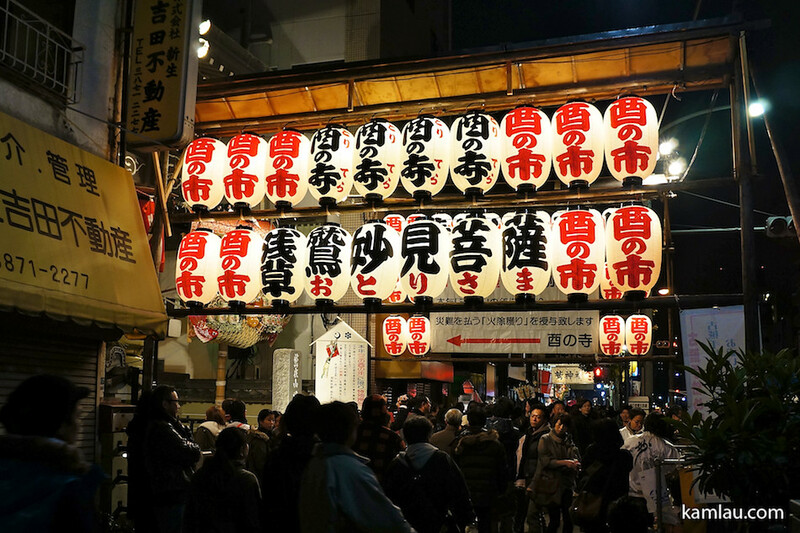 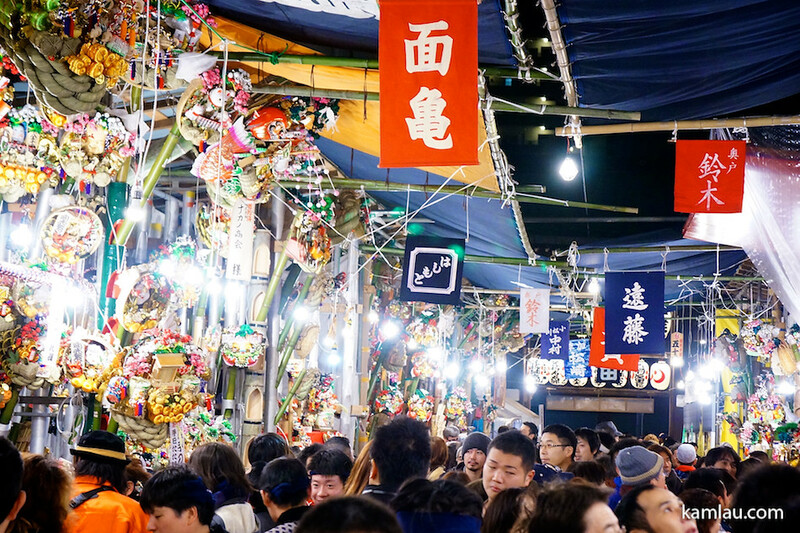 Tori no Ichi was said to be the first important event to bring the New Year. 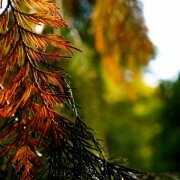 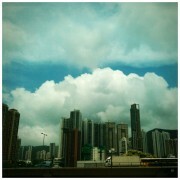 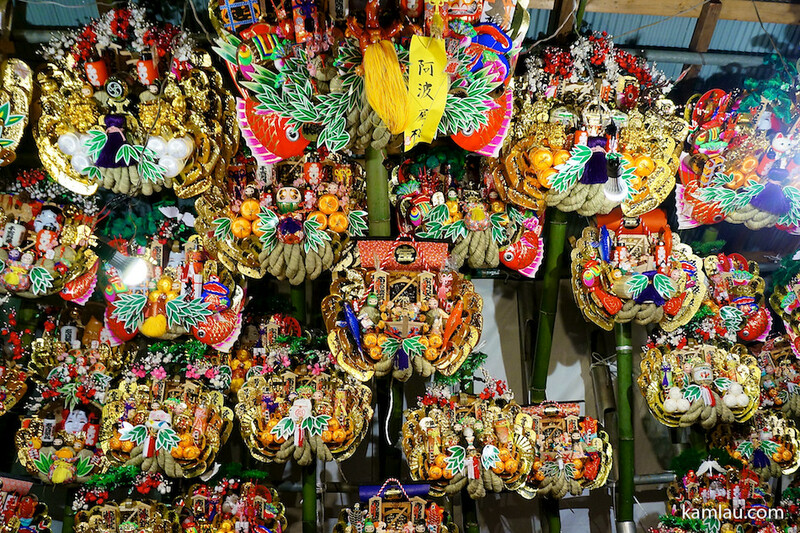 If you come here to pray for good business, you will most likely look for a bamboo rake as a charm. 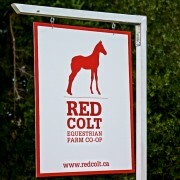 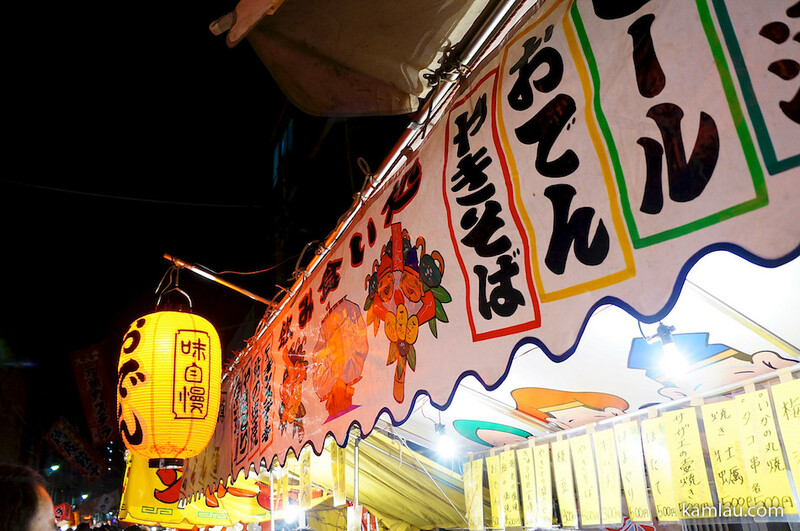 The bigger your business, the bigger the charm you would get. 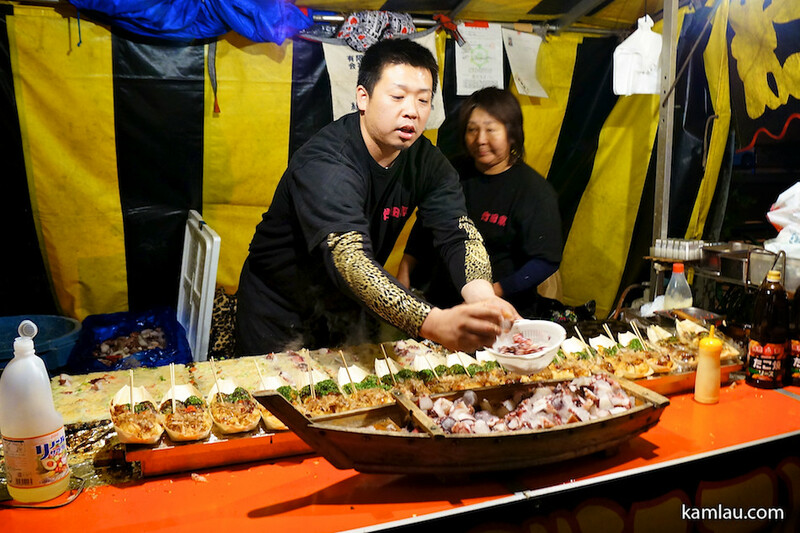 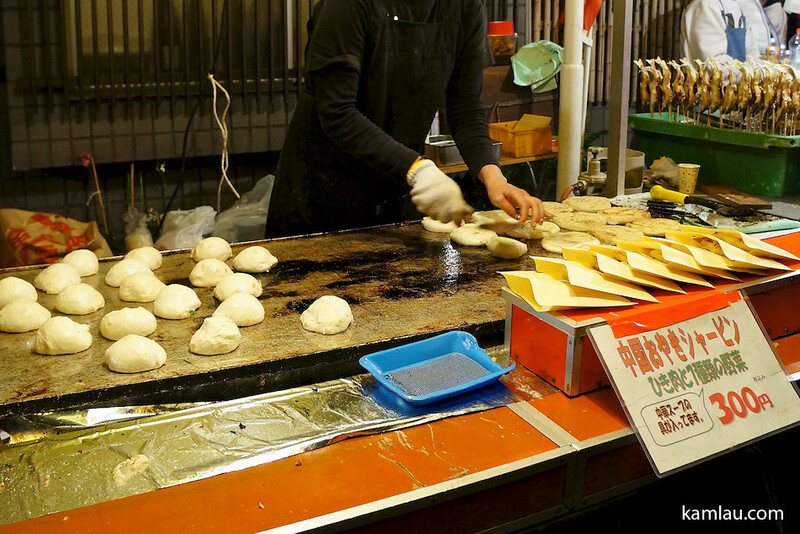 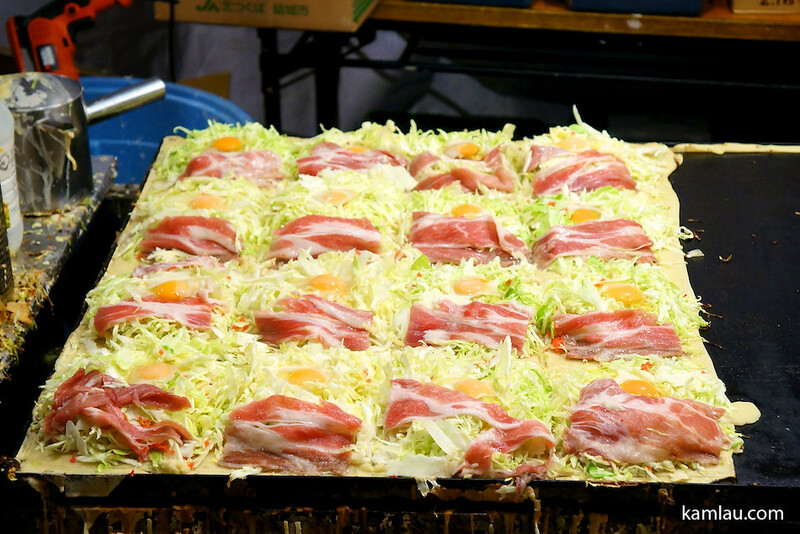 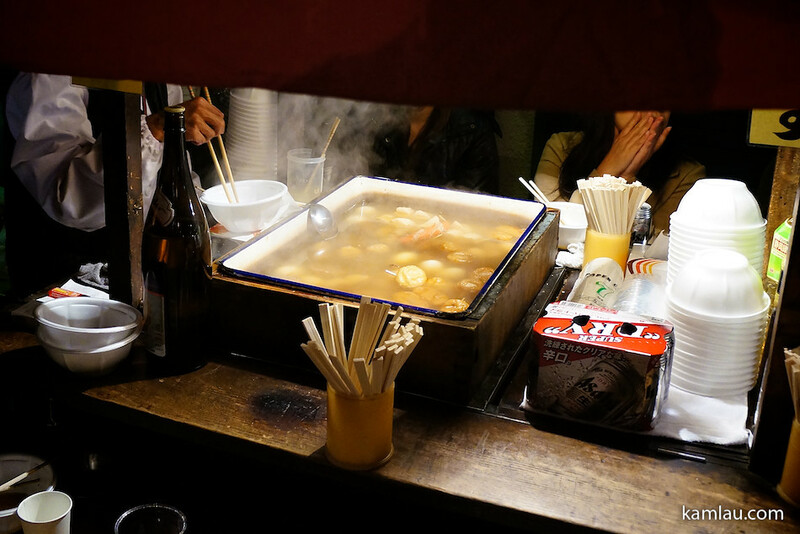 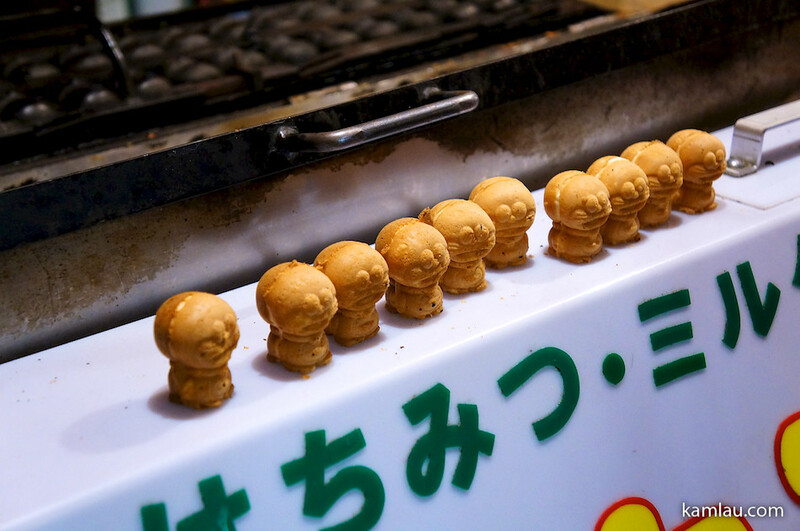 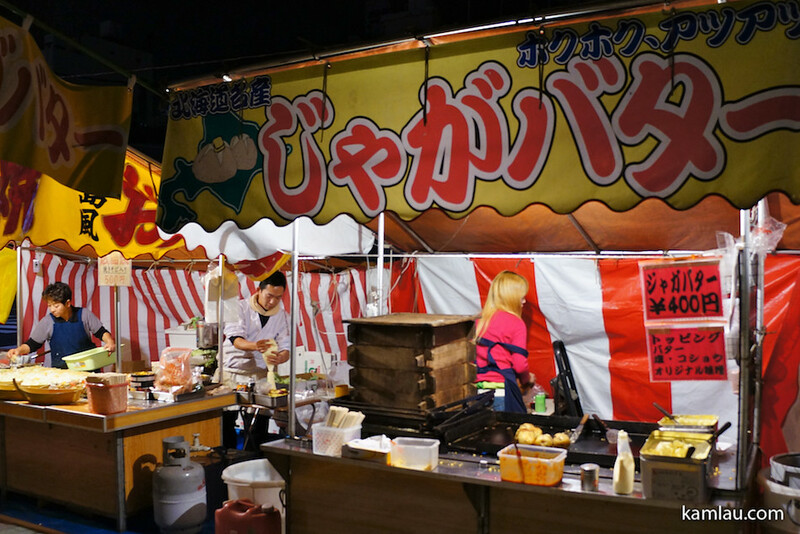 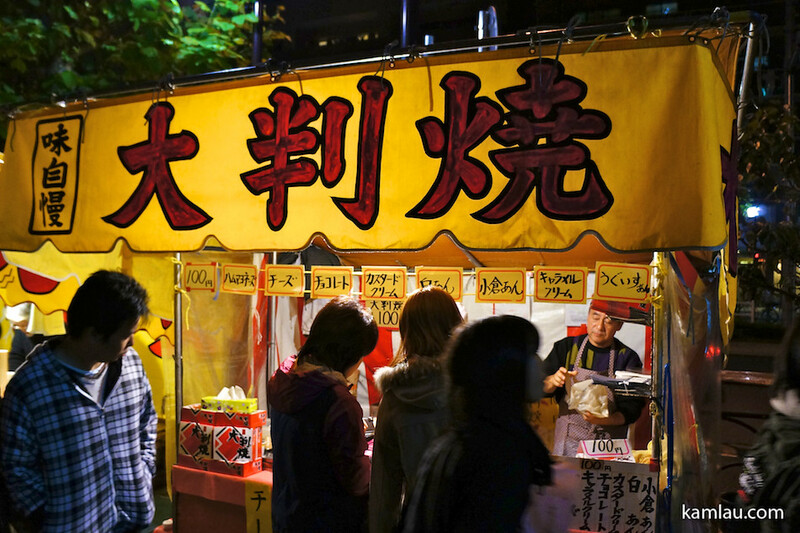 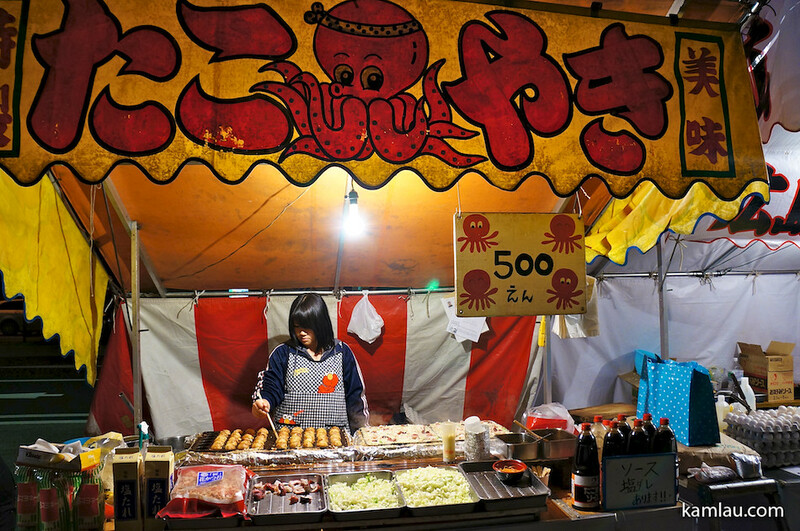 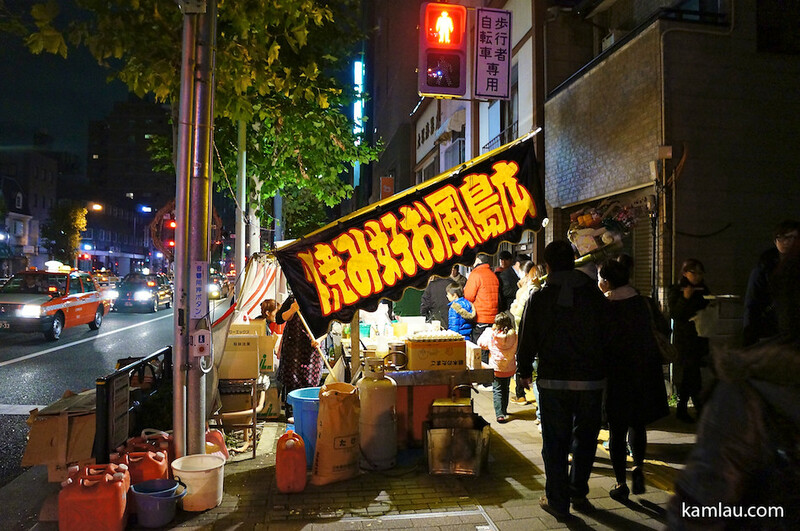 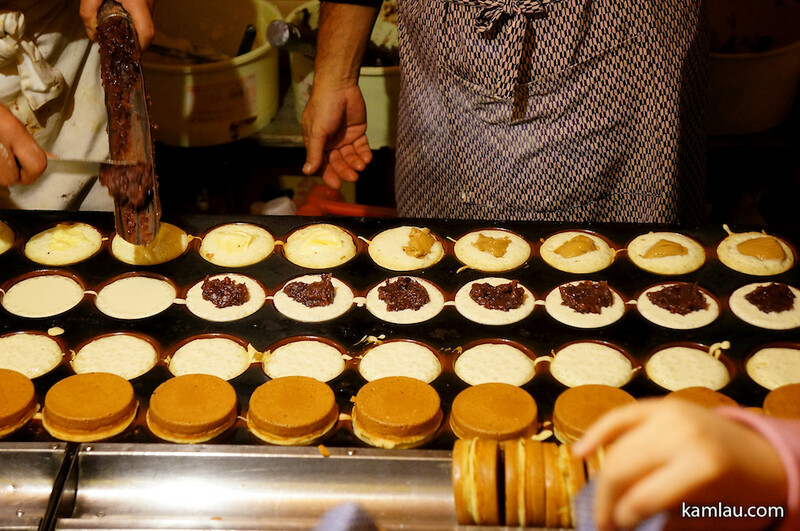 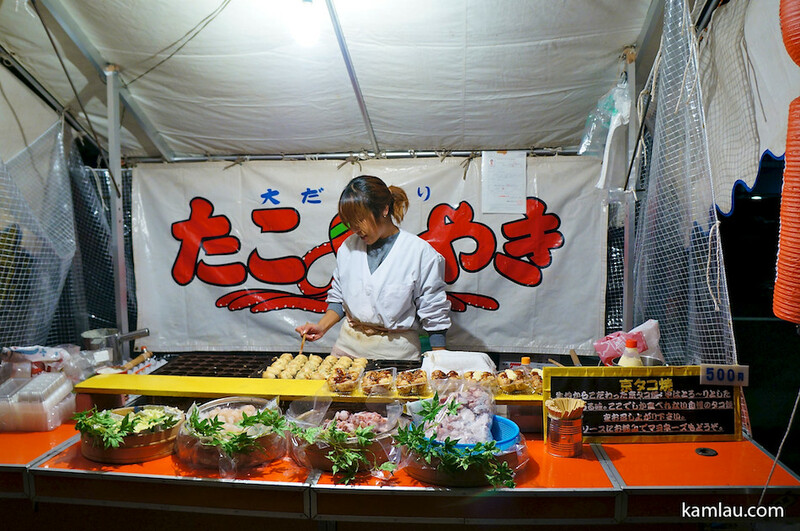 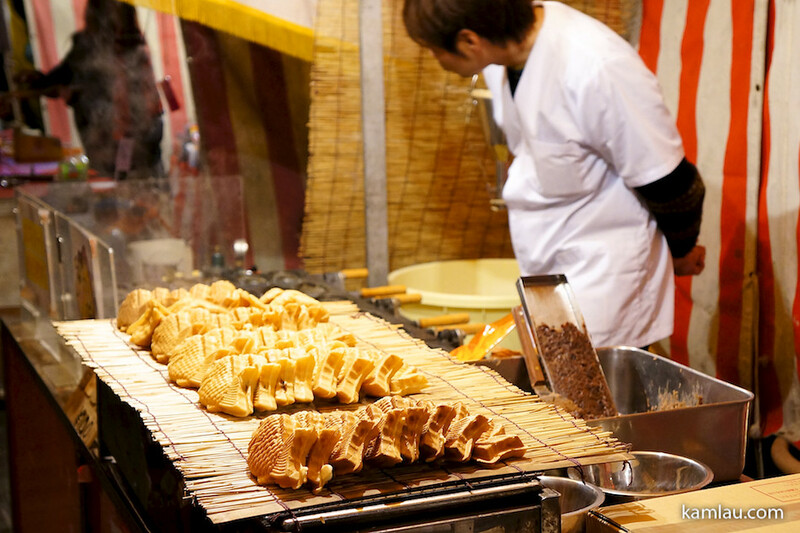 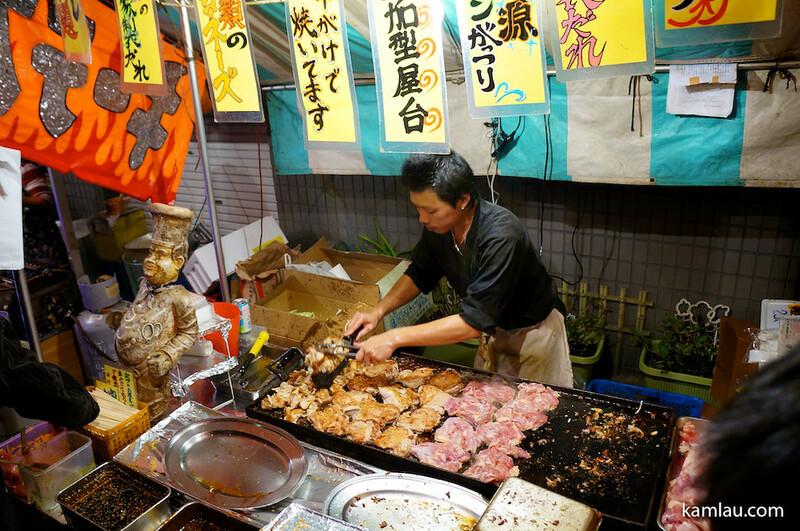 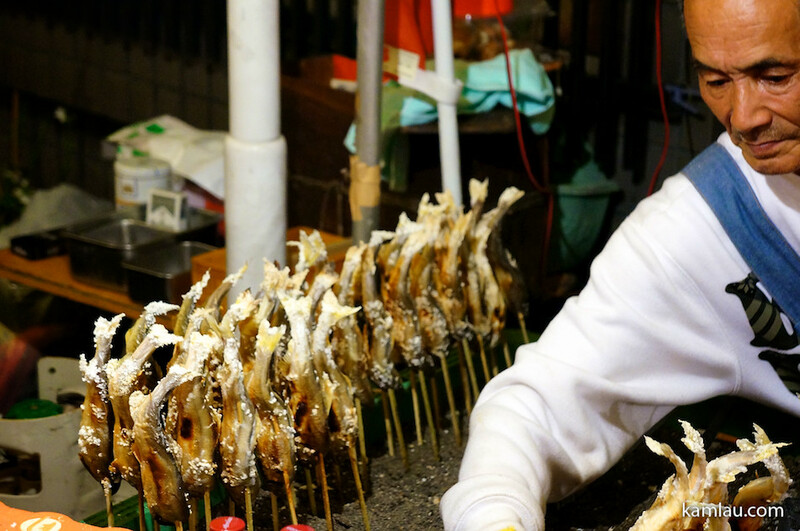 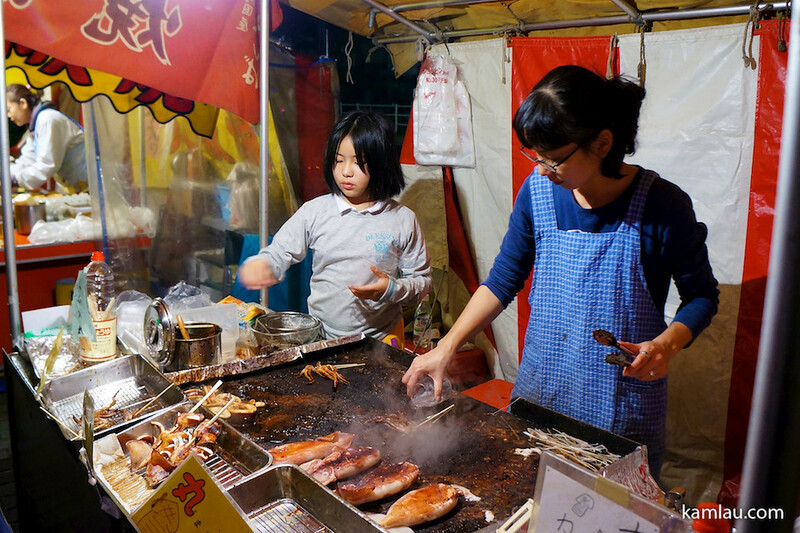 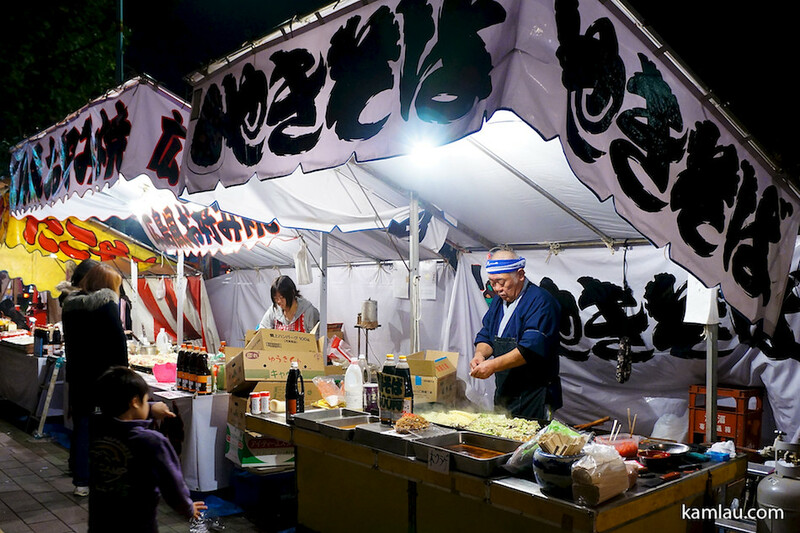 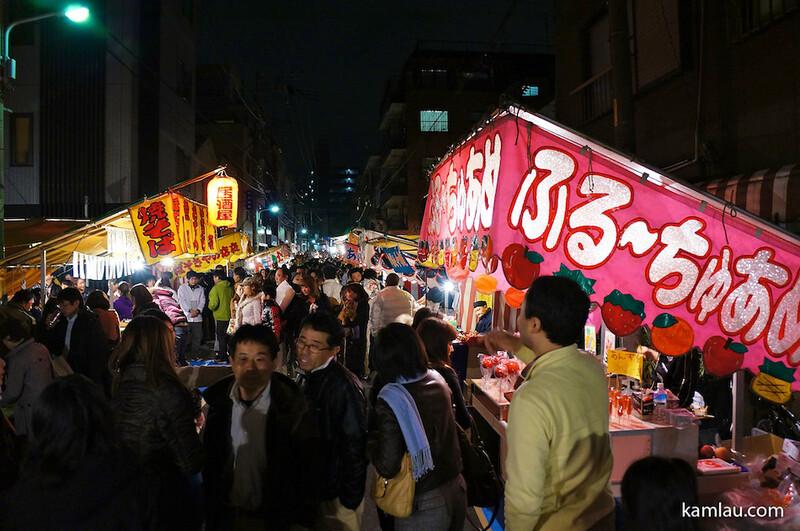 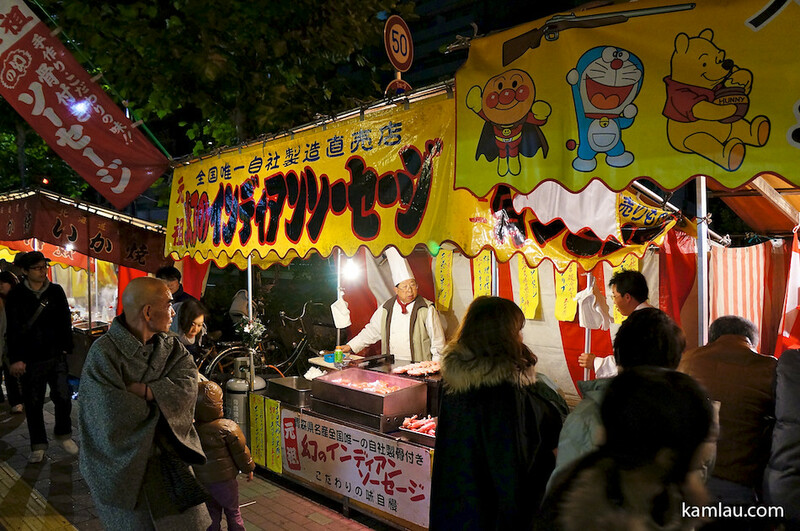 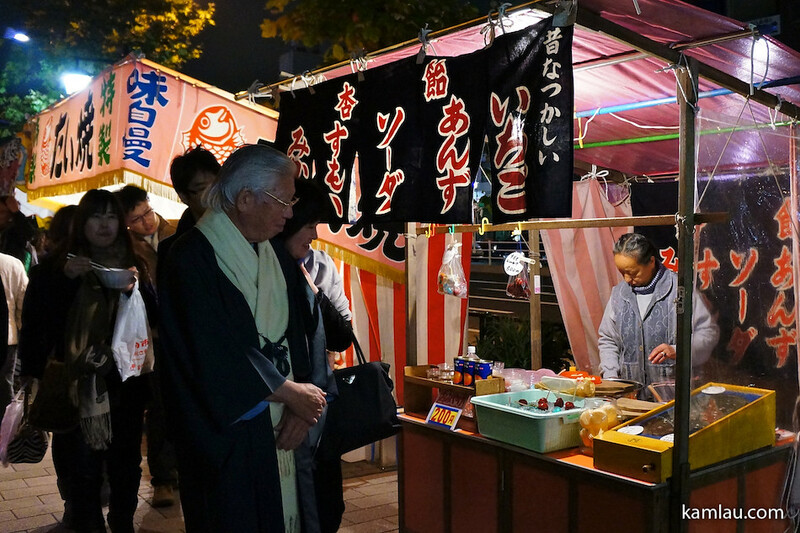 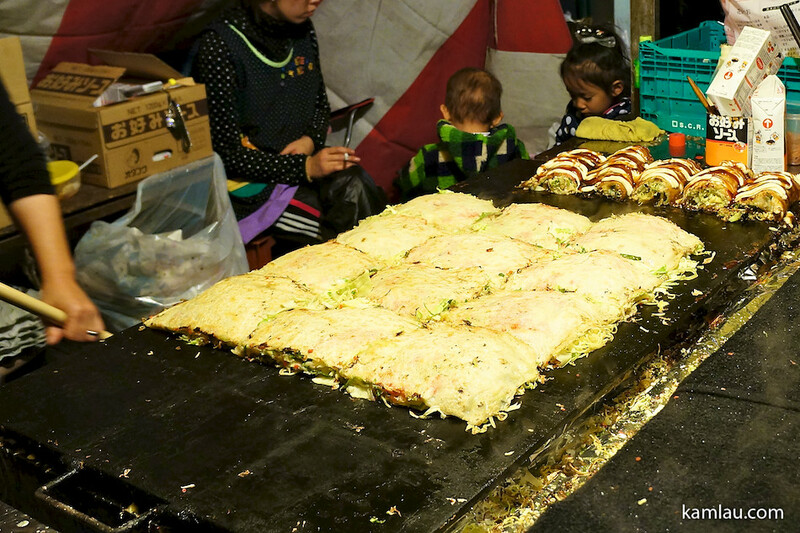 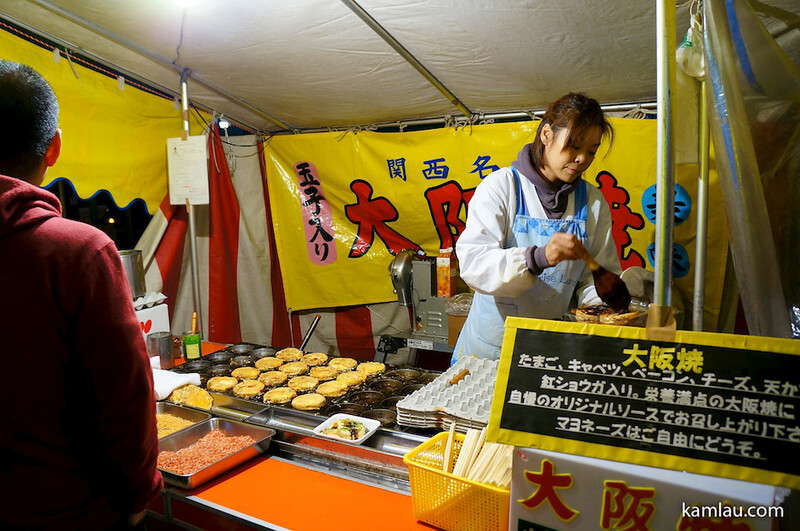 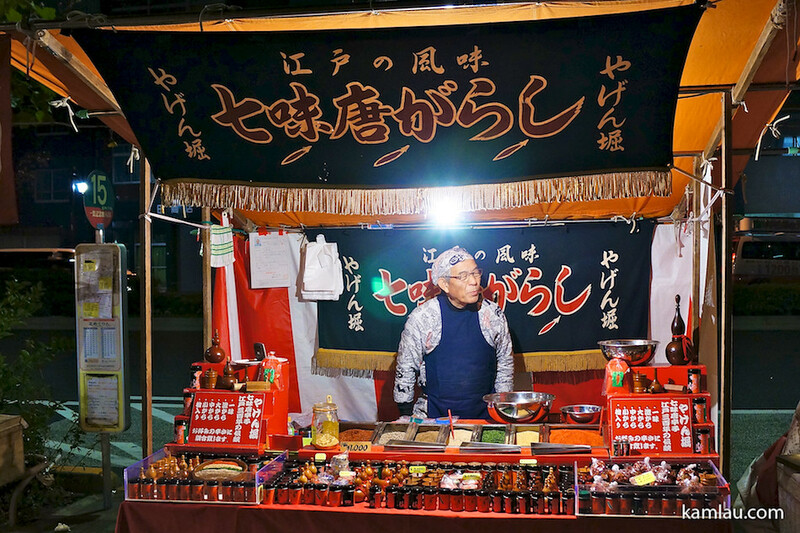 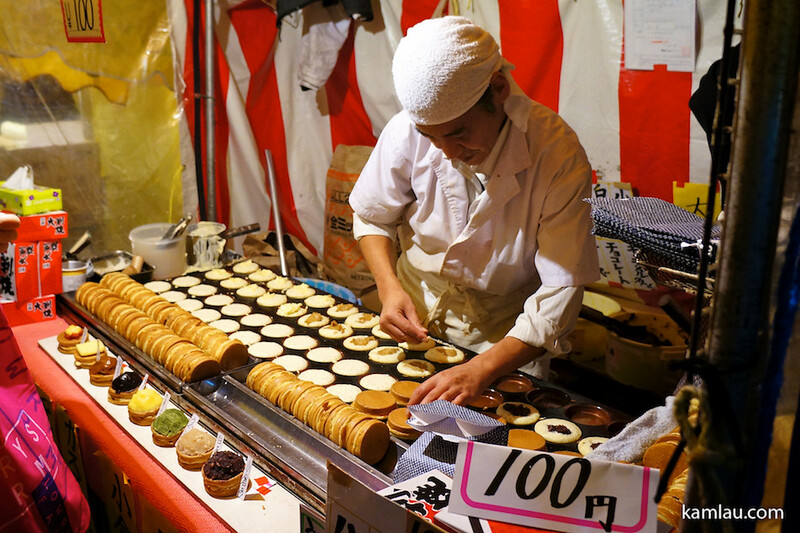 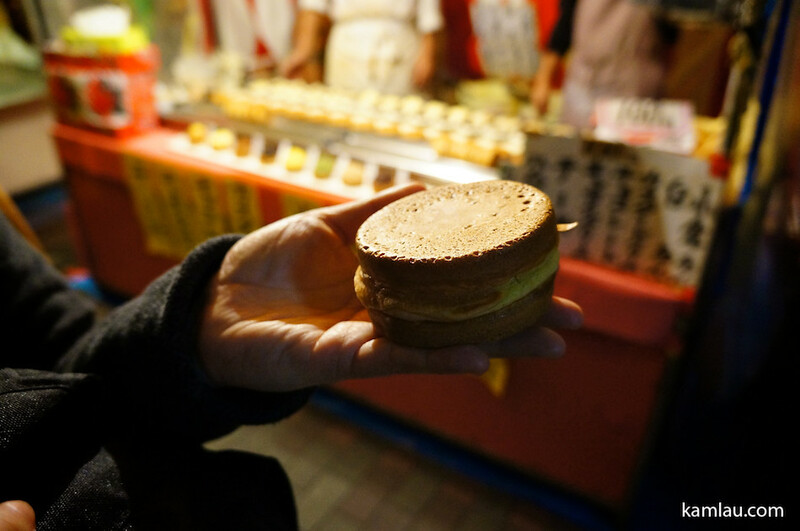 One of the highlights of a matsuri is the festive food they sell. 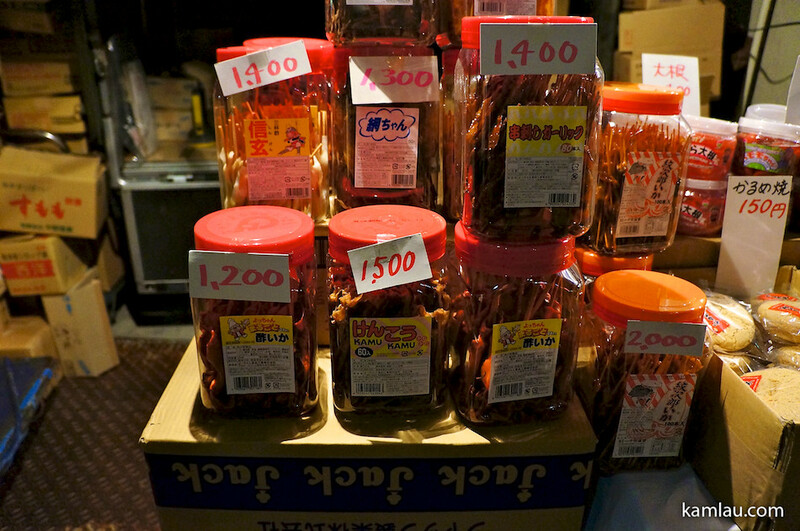 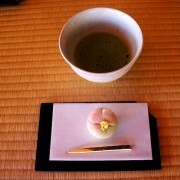 Some traditional Japanese candies (お菓子). 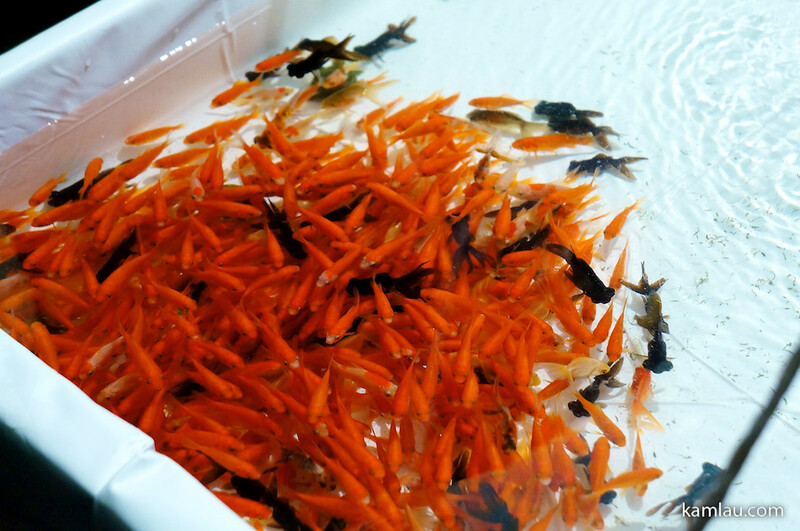 Would you bring some goldfish home if you visit a matsuri? 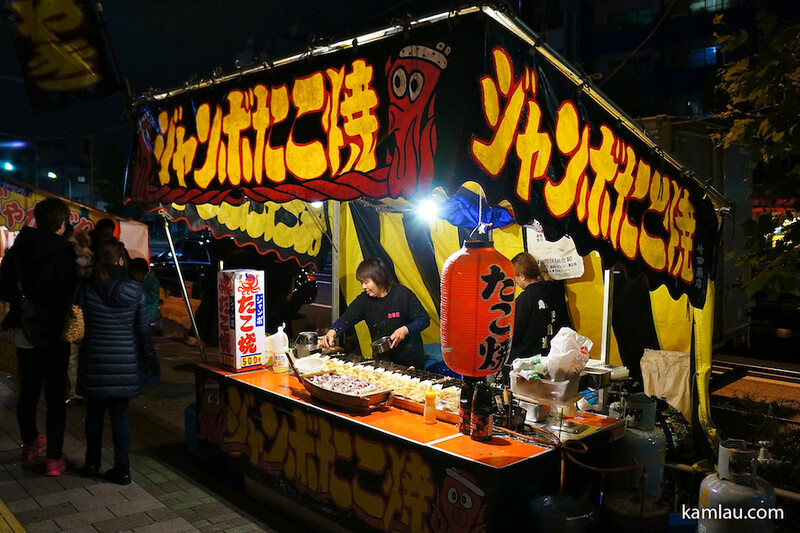 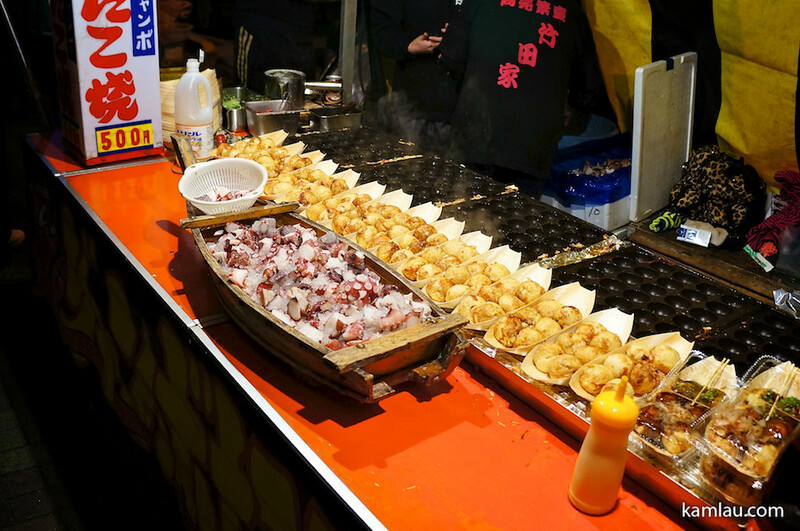 There is takoyaki with big pieces of tako inside. 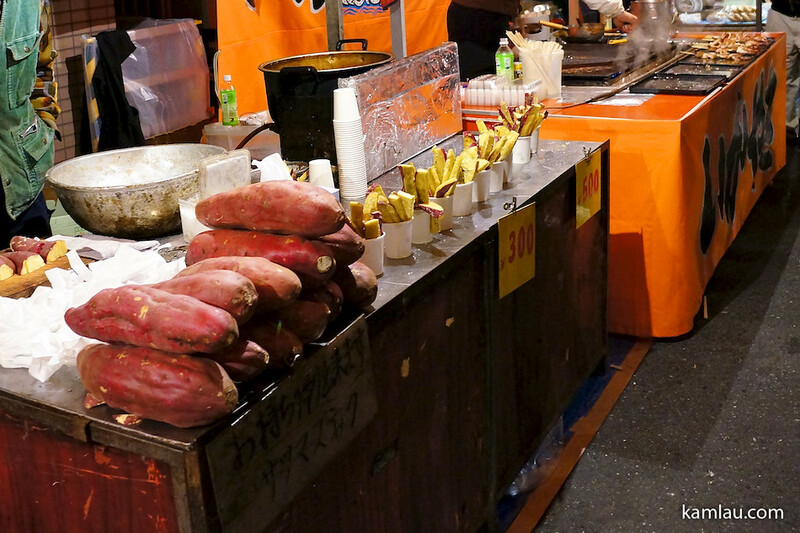 How many of these foods do you recognize? 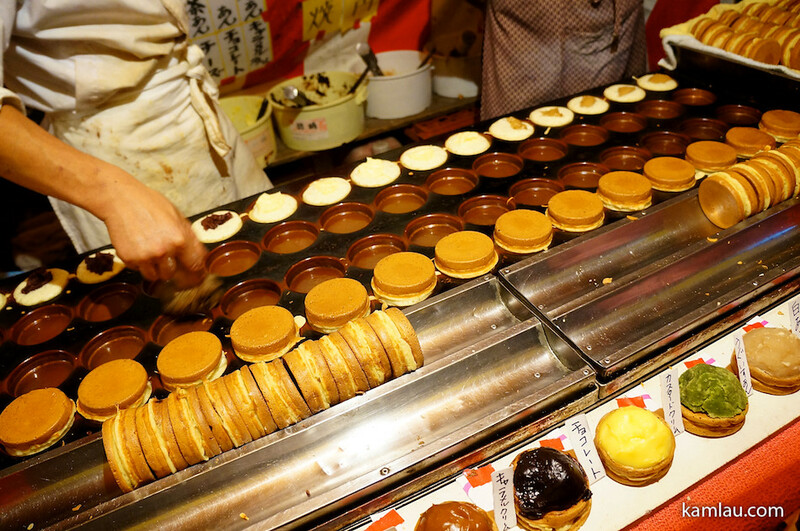 How many would you try?